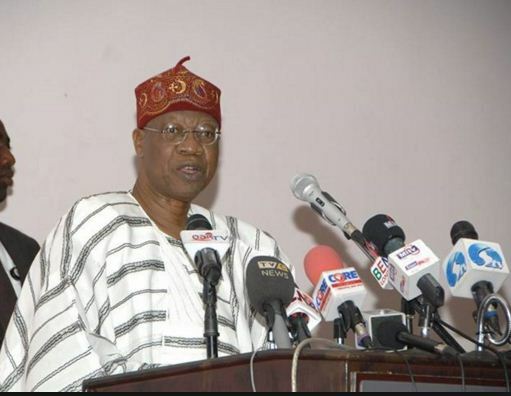 The Minister of Information and Culture, Mr Lai Mohammed, on Wednesday, said that there is no going back on the June 2017 date for switch over from analogue to digital broadcasting, as it remains sacrosanct. Mohammed, who gave the assurance when he met with members of the Broadcasting Organisation of Nigeria (BON) in Abuja, said that the country could not afford to miss the deadline, having done so twice. He said that the pilot scheme for the switch over would hold by the end of the month in Jos as part of efforts to meet the deadline. He explained that he had also set up a Ministerial Task Force on the project, which had been meeting regularly. Mohammed said the meeting with the group was crucial because BON as a critical stakeholder in the digitization process should be carried along. He added that “based on the efforts we have made and what we have on ground at the moment, we are confident that we will not miss that target date since some establishments will be directly affected in the pilot phase, as they will be required to switch over from analogue to digital. The minister said that government was aware of the misgivings and concerns expressed by some stakeholders over the switch over and they would be addressed in due course. He said for now the focus is on the success of the pilot phase in Jos and afterwards, all concerned parties will return to the drawing board to chisel out the rough edges, address the concerns of the various stakeholders and throttle along full speed to meet the target date,’’ he added. The minister solicited the support of stakeholders for the success of the digital switch over. Participants for the meeting were drawn from top management in the nation’s broadcast industry. The meeting went into closed door after the minister’s address.